This is the Simon. 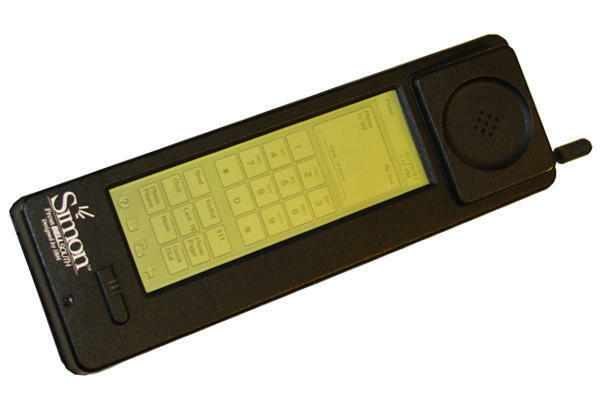 It was a handheld phone with a touchscreen that could run 3rd party apps. IBM introduced it in 1992 before the world wide web even existed. It sent faxes. I highlight faxing not to mock (mostly); rather, its inclusion gets to a fundamental reason why it took a full fifteen years for smartphones to truly take off: new categories not only need workable and affordable technology, but also ecosystems to latch onto and established use cases to satisfy. 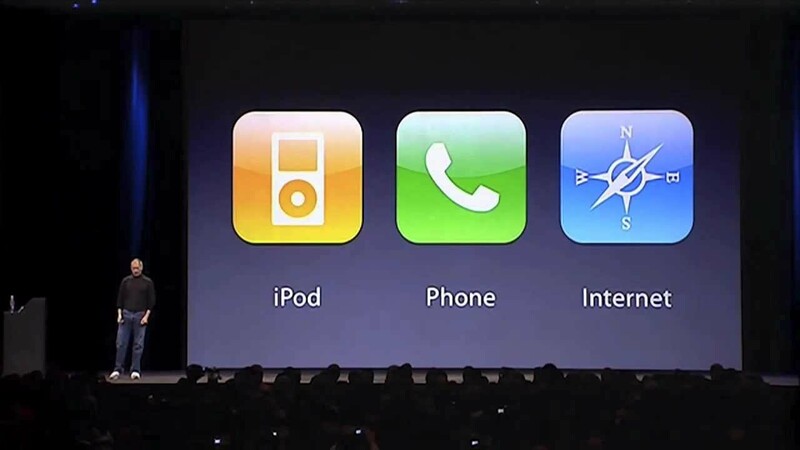 The reason we consider 2007 to be the start of the smartphone era is that while there were plenty of smartphones released before then (most notably Nokia/Symbian in 1996, and Blackberry and Windows Mobile in 2003), it was the iPhone that, thanks to its breakthrough user interface and ahead-of-its-time hardware, was able to take advantage of all these developments. The critical point is this: even had it been technologically possible, the iPhone wouldn’t have been, well, the iPhone, had the use cases it fulfilled and the ecosystem it plugged into not been established first. The Spectacles, as they are known, are sunglasses with a pair of cameras: tap the side and it will record a ten-second snippet of video. Glass was a failure for all the obvious reasons: they were extremely expensive and hard to use, and they were ugly not just aesthetically but also in their ignorance of societal conventions. These problems, though, paled in the face of a much more fundamental issue: what was the point? Oh sure, the theoretical utility of Glass was easy to articulate: see information on the go, easily capture interesting events without pulling out your phone, and ask and answer questions without fumbling around with a touch screen. The issue with the theory was the same one that plagued initial smartphones: none of these use cases were established, and there was no ecosystem to plug into. A similar critique could be leveled at Apple’s initial take on the Watch. While the hardware was far more attractive than Glass, and no one was offended by the prospect of wearing, well, a watch, what was most striking about the announcement was the absence of a rationale: what was the use case, and where was the ecosystem? This lack of focus led to a device that probably shouldn’t have been launched when it was: because Apple didn’t know what the Watch should be used for it was larded up with an overly complicated user interface and an SDK that resulted in apps so slow that they were unusable; Apple was so eager for 3rd-party developers to find its missing use case that the company destroyed the user experience that was its hallmark. This video has 47 separate “shots”; 35 of them are health-and-fitness related (and that doesn’t count walking or breathing, both of which fit in a broader “wellness” categorization). The rest of the introduction followed the same theme, as did the product’s flagship partner: Nike. Finally the message was clear: Apple Watch is for health and fitness. Now can an Apple Watch do much more than health and fitness? Absolutely. But those new use cases — things like notifications, Apple Pay, and controlling your smart home, all of which are relatively new use cases2 — now have an umbrella to develop under. This focus also defines the Watch’s most obvious competitor: Fitbit. While the Watch may be far more capable than most Fitbit devices, both are competing for the same spot on the wrist, and both are positioned to do the same job. What is interesting about Fitbit is that from a product development perspective it is the spiritual heir of Apple’s own iPod: it started out as a purposeful appendage to a computer that did one clearly defined thing — count steps. True, this was a new use case, but the original Fitbit in particular avoided all of the other problems with wearables: it was unobtrusive yet unique, and very easy to understand. It also laid the groundwork for the line expansion that has followed: once the use case was established Fitbit could create trackers that overcame challenges like wearing a strange device on your wrist or costing more than $100. Apple’s introduction of its second wearable — AirPods — was also well done.3 The use case couldn’t be more obvious: they are wireless headphones for the headphone-jack-less iPhone 7. You can’t get more clear than that! And yet the potential is quite obviously so much greater: as I noted two weeks ago, the AirPods in conjunction with the Apple Watch are forming the outlines of a future Beyond the iPhone. There’s that word I opened with: “future”. 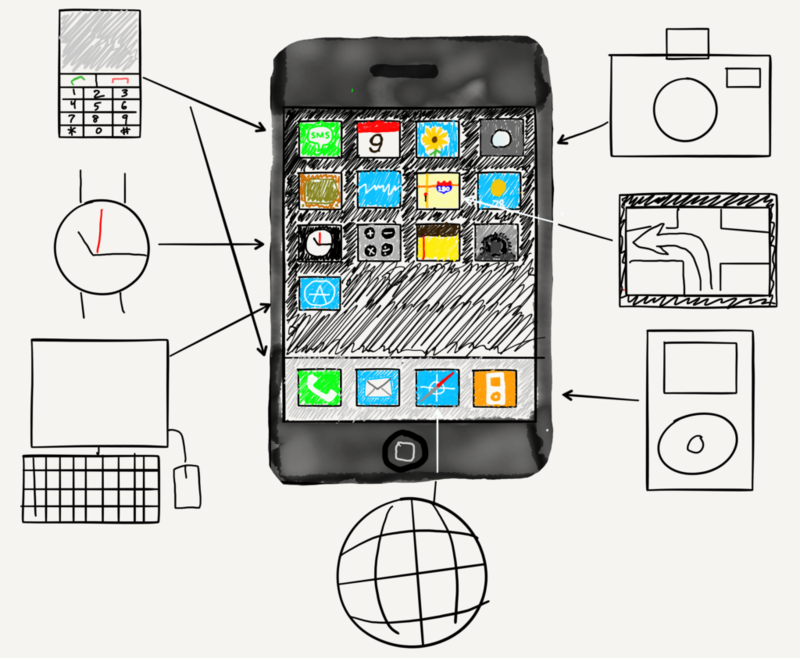 As awesome as our smartphones are, it seems unlikely that this is the end of computing. Keep in mind that one of the reasons all those pre-iPhone smartphone initiatives failed, particularly Microsoft’s, is that their creators could not imagine that there might be a device more central to our lives than the PC. Yet here we are in a world where PCs are best understood as optional smartphone accessories. I suspect we will one day view our phones the same way: incredibly useful devices that can do many tasks better than anything else, but not ones that are central for the simple reason that they will not need to be with us all of the time. After all, we will have our wearables. To be clear, that future is not here, and it’s probably not that close.4 That doesn’t mean these intervening years — and these intervening products — don’t matter, though. Now is the time to build out the use cases and ecosystem that make wearables products the market demands, not simply technology made for geeks who don’t give a damn about social conventions — or how they look. 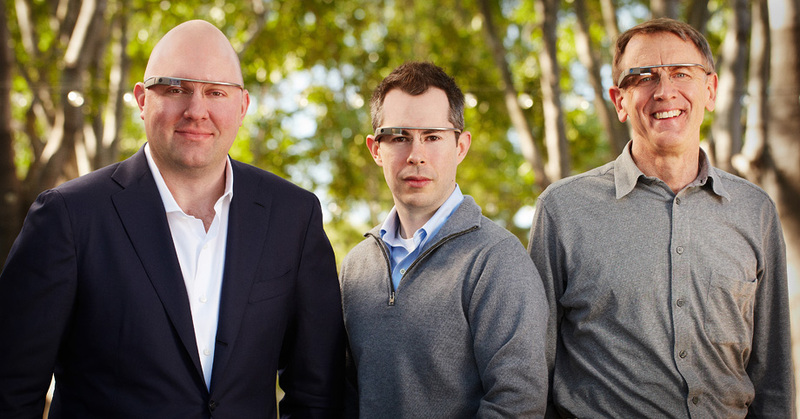 To be fair, this wasn’t the official product image for Google Glass, although it quickly became the most famous.5 Certainly that was because of who was in it — Marc Andreessen, Bill Maris, and John Doerr are three of the most famous venture capitalists in the industry — but it also so perfectly captured what Google Glass seemed to represent: Silicon Valley’s insistence that its technology would change your life whether you wanted it to or not, for no other reason than the fact it existed. With the caveat that no one has actually used these things — and that manufacturing physical products at scale is a lot more difficult than it looks — I suspect the outcome for Spectacles will be quite different from Glass as well. 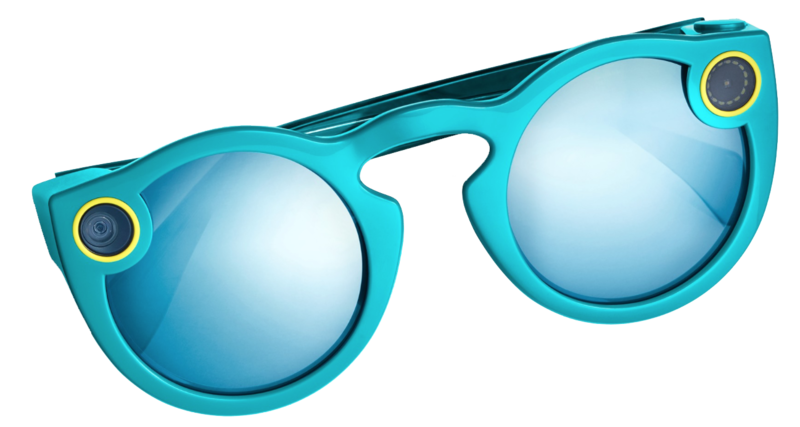 For one, they look so much better than Glass, and they are an order of magnitude cheaper ($130). Much more significantly, though, Spectacles have the critical ecosystem and use case components in place: Snapchat has over 150 million daily active users sending over a billion snaps a day and watching an incredible 10 billion videos. All of them are exclusive to Snapchat. Making it easier to add videos — memories, according to Spiegel (and I’m sure it’s not an accident that Snapchat recently added a feature called exactly that) — is not so much strange as it is an obvious step on Snapchat’s Ladder. Obvious. That’s another word I already used, in the context of Apple’s AirPods, and what is perhaps the most fascinating implication of Spectacles is what it says about the potential of a long-term rivalry between Snapchat and Apple. Snapchat CEO Evan Spiegel has said that Snap née Snapchat is a camera company, not a social network. Or, perhaps more accurately, the company is both: it is a fully contained ecosystem that is more perfectly optimized for the continual creation and circulation of content than even Facebook.7 What matters from Apple’s perspective is that Snapchat, like Facebook or WeChat or other apps that users live in, is one layer closer to their customers. For now that is not a threat — you still need an actual device to run those apps — but then again most people used Google on Windows, which made Microsoft a lot of money even as it froze them out of the future. This is exactly why Apple is right to push forward into the wearable space even though it is an area, thanks to the important role of services like Siri, in which they have less of an advantage. Modern moats are not about controlling distribution but about owning consumer touch points — in the case of wearables, quite literally.